This section showcases articles and writings written by our team member and partners. Water Rights in China and India: A Human Security Perspective. An Article by Dr. Ross Michael Pink. Abstract:The article explores the paramount human rights and development crisis facing China and India—water scarcity. Both countries are facing alarming water shortages that are exacerbated by dangerous pollution levels, population growth, and climate change impacts such as drought, elevated water-borne disease episodes, flooding, and salt-water intrusion. Millions of citizens in China and India are deprived of safe, clean water in their environment, which threatens healthy socio-economic development. Through the perspective of the human security paradigm, the article analyzes the water security scenario in each country. The article was published in Asian Affairs: An American Perspectives Journal. Tapiwa Murevanemwe graduated with a Bachelor of Public Health from Monash University in South Africa in 2014. He did an internship at World Vision South Africa then enrolled in the Masters of Public Health (Global Health) program at the School of Global Studies, Thammasat University, Thailand. Water crisis in Africa: A case study on the water situation among informal settlements in urban Johannesburg, South Africa. Objective: The objectives of this case study is to explore the challenges that people living in informal settlement in urban Johannesburg are facing in having access to clean and safe water and to explore that the government and local municipality are going to address this problem. Method: Secondary data analysis was conducted for this research. Secondary data obtained from studies and projects reports conducted on the water situation in informal settlement in urban Johannesburg was included in this study. Key findings: Approximately 1 in every 5 households living in the city of Johannesburg do not have access to safe water. Also 27 % of informal settlement do not have access to any services such as water supply, sanitation, waste collection and electricity. The government and local municipality are doing what they can to address this problem but the problems remains a very big challenge to thousands on South Africans living in informal settlement. The United Nations General Assembly Resolution 64/292 recognized the human right to water and sanitation and recognized that they are essential to the realization of all human rights. This resolutions calls upon all countries to provide financial resources, technology transfer and capacity-building to provide safe, accessible, clean and affordable drinking water and sanitation to everyone. Yet, this right is being undermined in developing countries especially in Africa. One of the countries which is not fully recognizing this right is South Africa due to a very high level of informal settlement especially in urban areas (Scanlon, Cassar & Nemes, 2004). South Africa is one of the countries in the world that have informal settlements. They face a wide range of problems and access to water and sanitation is the most serious challenge (Stein, 2005). The constitution of South Africa stated that “everyone has the right to an environment that is not harmful to their health or wellbeing.” Nevertheless, many South Africans today face serious health risks as a result of poor sanitation and water scarcity in all the informal settlements in urban Johannesburg (Bond & Dugard, 2008). According to field studies conducted by The Social Justice Coordinator for the Projects Abroad Human Rights Office (PAHRO), the water and sanitation conditions among informal urban dwellers are serious. One of the challenges is access to safe drinking water and the second is the hazard of waste water which is not being addressed properly (The Housing Development Agency, 2013). According to the Housing Development Agency, HDA (2013) an informal dwelling is “An unplanned settlement on land which has not been surveyed or proclaimed as residential, consisting mainly of informal dwellings (shacks).” Informal structures are also defined as “A makeshift structure not approved by a local authority and not intended as a permanent dwelling”. There are approximately 1 050 701 households living in the City of Johannesburg and out of this number, 75 255 (approx. 14 %) households are living in informal settlement which do not have access to safe piped water and lacks proper sanitation. The majority of the informal urban dwellers in the City of Johannesburg do not have any access to tap water. Approximately one in five families have access to tap water but the rest have to walk and fetch water from broken water pipes or public water taps and other illegally open the municipality water systems. Although it is difficult to know the actual number of informal dwellers in Johannesburg, the number of people without access to water might be higher than what is currently known (HDA, 2013). According to the 2011 census, only 7% of the informal settlements in Gauteng Province have a high level of services, which includes water supply, sanitation and refuse removal. More than 27% of the households do not have access to tap water, a decrease from 33% in 2001. The other 66% of households have some basic services although they are not reliable. Although all citizens can use the public water taps, there are some problems as well because the taps are not sufficient and often broken. The water taps are frequently shuts off during the day thus forcing people to wait for lengthy periods (HDA, 2013). The level of unemployment and poverty is very high among the informal settlements and as a result, some fail to pay their water bills and the municipality indefinitely will turn off their water, making the situation worse. Moreover, due to the poor sanitation, resident bathe and wash their dishes in buckets of water and dump the waste water on the streets creating a health risks for the people (Roberts, 2015). It is inevitable that the water situation among informal urban dwellers is posing a very huge health hazard particularly among children. The World Bank (2016) states that “Water supply, sanitation and health are closely related and poor hygiene, inadequate quantities and quality of drinking water and lack of sanitation facilities are causing millions of deaths among the world's poorest people from preventable diseases each year. Diarrheal disease causes 4.3 % of the total burden of disease globally and nearly 65.5 million DALYs. Approximately 88% of this burden is as a result of unsafe drinking water supply, poor hygiene and inadequate sanitation. Children living in the informal settlements in Johannesburg usually play in dirty pools of wastewater and this is increasing their health hazards from diarrheal disease which clams many children under the age of five in South Africa every year. WHO (2016) data on causes of under-five mortality in South Africa shows that 20% of under-five mortality is caused by diarrheal disease such as cholera, typhoid and dysentery. These unnecessary deaths can easily be avoided by improving access to safe drinking water and improving the sanitation condition especially in informal settlements. Governmental and local municipal responseThe government of South Africa is trying to address the problem of urban informal settlements through a reconstruction and development programmer with the aim of improving infrastructure among the urban dwellers. The government is doing this by providing free houses through the Rehabilitation and Development Programme (RDP). These houses have access to both water supply and electricity. However, the government is failing to reach their promised quota of sufficient houses for everyone due to the huge number of illegal settlers and the actual number of informal urban dwellers is unknown (Tomlinson, 2015). The local government of Johannesburg is also trying to address the water challenges among the informal dwellers in the urban areas by providing running water and toilets. The municipality is doing this by supplying toilets for the residents and communal water pumps. It is also delegating sub-councils to work directly with residents in order to help maintain the upkeep of these facilities. However, the local government is being overwhelmed by the number of informal settlements, which is increasing daily (HAD, 2013). Water is a basic human right that everyone is entitled to have. Nevertheless, this is not the case for thousands of informal urban dwellers in the cities and towns of South Africa, notably Johannesburg. There is need for both the national government and local municipalities to speed up their activities in responding to this health hazards because water is life. Dr. Allen Swagoto Baroi is a Medical Practitioner and Public Health Professional, He is currently studying for a Master of Public Health with a concentration in Global Health at Thammasat University in Thailand. 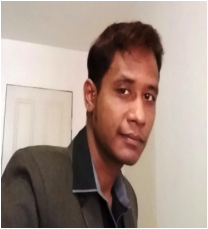 He joined “The Leprosy Mission International- Bangladesh” in December 2013, after completing “Bachelors of Medicine and Surgery” from University of Dhaka. He provided medical care and clinical services at 15 different leprosy clinics and health centers, located in 5 Medical Colleges, 2 refugee camps and 8 slum areas located in Dhaka City. He also conducted awareness and orientation programs on disease control for doctors and other health professionals. Dr. Allen Baroi is passionate about working with underprivileged people in challenging environment and patients suffering from disease-related stigma. Purpose: The unilateral withdrawal of water upstream in India creates limited access of water for irrigation downstream in the northern part of Bangladesh. This unequal distribution of trans-boundary water from the Teesta is posing a threat to the agro-based northern part of Bangladesh. Lack of diplomatic coordination regarding joint Teesta river water distribution between Bangladesh and India leads to decreased water security for the northern part of Bangladesh. There is a need to address future water security for this particular region of Bangladesh. Objective: To describe the root causes of unilateral distribution by India of trans-boundary water from the Teesta River and their effects on Bangladesh. Methods: This case study made use of secondary and tertiary data. Secondary data, focusing on the impact of low water supply of irrigation in Northern Bangladesh, was obtained from field study reports. Tertiary data, focusing on trans-boundary political issues and root causes, was obtained from a literature. Obtained data served a thematic content analysis. Key findings: Threats to water security created by the Teesta Barrage at Gajoldoba, West Bengal, India impacts the environment and habitat of communities in north-west Bangladesh which in turn affects peoples’ livelihood, the public’s health, and causes internal displacements. Conclusion: Bilaterally, it is urgent to realize the current situation in the northern west part of Bangladesh and to take action guided by recognition of the need for equitable access to water at both sides of the boundary. Water is an important element that is necessary for a harmonic balance of nature. Humankind is dependent on it for their living purposes. Nature is the only source and reservoir of water. Since ancient times people used the natural sources of water for living and it has always been considered a key element for development and prosperity. Saline ocean water covers approximately 71 % of earth’s surface, while fresh water only presents 2.5% of all water on planet earth. Oceans, rivers and streams are the main sources of water. Water from oceans is not accessible for consumption due to its salinity. River water is a natural resource of fresh water which is accessible human activities. Rivers also secure land fertility as they bring sediments and silts which is very important for agro-based developing countries. On the other hand river water is also responsible for natural disasters like flooding and droughts and can make serious impacts on nation’s economy and living condition (Nishat, 2000). Neighboring countries sharing the borders with Bangladesh are India and Myanmar. Bangladesh covers an area of around 144,000 square kilometers with 700 small rivers converging into five major rivers linked with each other namely the Jamuna-Brahmaputra, the Padma-Ganges, the Suma- Meghna and the Karnafuli. The monsoon season takes place between June and November and the dry season with high temperature is observed during March to June. During the monsoon season the rivers are mostly flooded due to overflow of water and the water level decreases during the dry seasons (Ahmed, 2005). Bangladesh shares 54 rivers with India and a Joint River Commission was established between the two counties in 1972 for a better management of the joint river water. In 1983 an ad-hoc water sharing agreement was signed between the two countries which allocated 39% and 36% river water. In recent days tensions between the countries came to a head in a dispute over the Teesta River regarding water sharing. It became a major issue due to the concern of water security for the countless people depending on the joint river. In 1996 a comprehensive river pact was signed by Governments named as “1996 bilateral treaty”. The comprehensive river pact established a 30-year water-sharing arrangement between the two countries. But unfortunately the agreement was not fruitful for the sharing of Teesta River water and Bangladesh did not benefit from equitable distribution of water. The water security in the Northern part of Bangladesh, where a huge number of population depend on it, is under threat and both the national and international communities failed to protect mutual interests (Nishat, 2000). The source of the Teesta River is situated in Sikkim India where it originates from the Pahurni glacier 7068 meters above sea-level. It is flows through the northern part of West Bengal in India and Bangladesh. The river merges with the Brahmaputra River after coursing through about 45 kilometers of irrigable land (Nishat, 2000). The water flow during the last 10 days of March was 550 cusec in 2014 and 315 cusec in 2015. The average flow of the Teesta River, considered in a lean season, has been decreasing a significantly in the past few years (Quora, June 2015). The total number of villages depending on the Teesta River in Bangladesh is 5,427. The cropped area in Bangladesh that includes Teesta Flood plain is about 14% and about 7.3% of the total population of the country is depended on the specific river as the river provides irrigation for 63,200 hectares of farming land (Nishat, 2000). A study by Nabi (2012) shows that the Teesta barrage was proposed to supply 255 cubic meter of water per second and it was supposed to provide 749, 000 ha of land for irrigation. But due to reduced flow in upstream water from India, Bangladesh was never able to get its actual share of water from the river. The record shows the highest share of water that Bangladesh was able to get was only 80% of the actual amount and that was in the dry season in 2000 (Nabi, 2012). The Gajoldoba Barrage is situated on the river Teesta in Baikunthapur forest which is located in the western part of the Dooars in West Bengal of India. It is functional since 1985. The main purpose of the establishment of the barrage is to ensure water security for India’s local communities (Nishat, 2000). Bangladesh is an agro-based country and its economy is highly depended on agriculture. It is also a highly populated country, therefore it is essential to protect water security for both its agriculture and its people. Access to water is a basic need for people in any nation. Communities at the lower level of the Teesta face increasingly problems in access to its water for purposes of irrigation, fishing, transportation, and for their daily use. Due to the establishment of a Teesta barrage in the northern part of Bangladesh the amount of cultivable land increased as it provides water for irrigation through canals (Nabi, 2012). As a result the total production of agro-based products increased. However, in recent years a significant decrease of river water poses a threat to local communities. For the years to come the total production agro-products will decrease and the need for water will be compromised (Roy, 2012). The river doesn’t only provide for local communities’ agriculture but also provides for fishing and transportation. A large number of the population is earning their livelihood by and from the river. Therefore threatened water security will obviously affect people engaged in these occupations by threatening their source of income which will in turn affect the country’s economy (Nabi, 2012). The low level of Teesta water in the dry season and the overflow during the monsoon has an impact on the local residents. Both seasonal effects create unsuitable residential conditions for the local population. A majority of the local population will lose their livelihood and face drastic environmental conditions in the years to come. They likely need to resettle in other parts of the country where conditions are more favorable to support their livelihood and some may need to change their occupation for lack of opportunity (Nabi, 2012). Rivers also have an important role in maintaining a harmonic balance in nature and the climate. River water is essential for providing nourishment to the surrounding fauna and flora. The Teesta River has been providing such nourishment to the northern west part of Bangladesh. Recently environmental and climate changes of specific areas adjacent to the river have been noticed. The Teesta River is a perennial, rain and snow fed river. There are a number of glaciers and glacial lakes supplying the river situated in the upstream basin in Sikkim, India. The upper basin of the river encounters variation of water level in different seasons due to rainfall. In the dry season the basin has a lower level of water and in the monsoon the level rises. This effects the lower stream in Bangladesh. As a result there are drought in summer and floods in monsoon in the northern west part of Bangladesh. Climate change resulting in extreme weather conditions and natural disasters adversely impact nature (Shahid, 2008). The local communities settled at the banks of the Teesta River are highly dependent on the river for their food and nutrition. A significant lowering of the river water affecting crops and vegetables, disturbing dietary intake is leading to lack of proper nutrition for the local communities. Further, repeated natural disasters like droughts and floods are minimizing the access of nutritional food for the people. Moreover a significant proportion of the local population is affected by disease due to these calamities. According to Oxfam more people die during the floods due to water-borne diseases like diarrhea and dysentery in Bangladesh as a result of lack of access to safe drinking water in the affected areas (Chanda Shimi, 2010). Sharing of a common good as Teesta River water is a political issue. An agreement should be considered for the benefits of communities at both sides of the national border. Water security is equally important for the local population living nearby the upstream basin in India. The population around the upstream area in India is growing as well as their need for irrigation water and other uses. As a country, India has every right to protect the interest of its own people. However as a neighboring country it has also the responsibility for equitable distribution of water. A fair sharing of water will not only help the region economically and in terms of development it may also contribute in controlling cross-border migration. There are different political views regarding Teesta and Gajoldoba barrage. Both countries want to get maximum benefits, but it is necessary to recognize that water is a common good and that water security for the affected population is important at both side of the border for the sake of humanity. The problem can only be solved through a focus on the long-term benefits for neighboring countries. This however calls for: working together with a passion for humanity; negotiations guided by a proper agenda; alignment of stakeholder interests; trans-boundary coalitions through expertise; sharing adequate information; and transparency at every level of communication. Water security is crucial for the human habitat. It is important to ensure access of water through natural resources. In most of the developing riverine countries community development is depended on the water resources. Trans-boundary Rivers are most vulnerable sources of water as the flow is solely depended on the political view of up streaming nations. As a developing riverine country Bangladesh is more vulnerable to ensure the water security of its vast population. The barrage on Teesta River is an example of how devastating the overall condition of water security can be in the particular region. As a nation Bangladesh needs to address the basic needs of its people affected by the low flow of the river and needs to solve them through diplomacy. Bilaterally, it is urgent to realize the current situation in the northern west part of Bangladesh and to take action before it’s too late. Every problem has a solution and for Teesta River water sharing both countries need to find an equitable solution through negotiation to ensure water security for their own people. Ahmed, A. U. (2005). Adaptation options for managing water related extreme events under climate change regime: Bangladesh perspectives. Climate Change and water Resources in South Asia, Balkema Press, Leiden, 255-278. Chanda Shimi, A., Ara Parvin, G., Biswas, C., & Shaw, R. (2010). Impact and adaptation to flood: A focus on water supply, sanitation and health problems of rural community in Bangladesh. Disaster Prevention and Management: An International Journal, 19(3), 298-313. Gleick, P. H. (1996). Basic water requirements for human activities: Meeting basic needs. Water international, 21(2), 83-92. NABI, M., & FUN, M. (2012). TRANSBOUNDARY RIVER: A CASE STUDY ON TISTA BARRAGE (Doctoral dissertation). Nishat, A., & Faisal, I. M. (2000). An assessment of the institutional mechanisms for water negotiations in the Ganges-Brahmaputra-Meghna system. International Negotiation, 5(2), 289-310. Roy, M., Jahan, F., & Hulme, D. (2012). Community and institutional responses to the challenges facing poor urban people in Khulna, Bangladesh in an era of climate change. Brooks World Poverty Institute Working Paper, (163). Shahid, S., & Behrawan, H. (2008). Drought risk assessment in the western part of Bangladesh. Natural Hazards, 46(3), 391-413. The Author is the Co-founder of Global Water Rights. He lectured in International Law at the University of Toronto and currently is a Professor in Political Science and International Relations at Kwantlen Polytechnic University in Surrey, BC. The article was published by Harvard University Health and Human Rights Journal. Fresh water is a vital and life-sustaining resource, yet water shortages and water pollution threaten the lives of more than 1 billion people on the planet, and the number of people endangered by clean water shortages increases every year. Salt water accounts for 98% of the planet’s water. The remaining 2% is fresh water, but 50% of this amount is undrinkable due to pollution and contamination. Evaporation and pollution further diminish the available supply of fresh water every year. Compounding the global water crisis is the fact that global population, and thus consump-tion, is rising rapidly. In 1927, the global population was approximately 3 billion; it was 4 billion in 1974, 5 billion in 1987, 6.9 billion in 2011, and is projected to reach 9.22 billion in 2075.1 Approximately 1.1 billion people have no access to clean water, including 406 million in East Asia and the Pacific; 314 million in sub-Saharan Africa; 229 million in South Asia; 38 million in the Middle East; and 49 million in Latin America.